Among other things, Bill Shepherd tells us how doing what you enjoy can help keep you off the toilet! Having recently had my pouch operation, I applied for a Radar key so that I could use the disabled toilets if necessary. I should point out that the key is quite large, and I find it useful to wear it on a tape around the neck. As of yet, I have not had to use it, but on behalf of our group checked out a number of disabled toilets both locally in Hertfordshire and in North Wales. Only one failed to meet a very high standard. I am normally employed as a lorry driver, and returned to work (“light duties”) in August. Between lorry and car, I cover in excess of 80,000 miles a year, so the Radar key will give me real peace of mind. I am hoping it will be a bit like airbags and seatbelts: I don’t want to test them for their purpose, but if I need them, I shall be really glad to have them! I am of the opinion that if you are doing something you enjoy, your bowels, bag or pouch are not very active. In the 28 years that I have had ulcerative colitis, I have only had to stop three times in an unplanned, urgent, embarrassing way. I believe this is because I enjoy my job. I also have another true story that illustrates my theory perfectly. Many years ago, I had an old school friend who commuted into London to work each morning to a job he did not enjoy. He also had IBS. His journey each morning was about 18 miles on the train, but every morning he had to get off the train at three or four stops to use the toilets (any pouch owning commuter will tell you that the toilets on a commuter train are just not suitable for our needs!). However, in his spare time, he was a tennis umpire at Wimbledon and other tournaments. Amazingly, he was never affected by urgency while on the court. I think it was because he enjoyed what he was doing, so he never gave his IBS a thought.  Perhaps there are Red Lion Group members who have problems controlling their bowels, and so have given up favourite hobbies because they are afraid of needing the toilet at an inappropriate time. I hope my friend’s story will give you the confidence to go back to doing something you enjoy. Finally, I do have one worry, which other members may share. I do not feel in control on public transport, with inadequate (or no) toilets on most trains or needing to get off and on buses then paying again to get on the next one. For this reason, I like the security of my car, holding my spare underwear, trousers, wipes and other toilet equipment (back to the airbags and seatbelts again). My worry is toll roads, first tested in Leicester and now in Leeds and Edinburgh. I think we should look at this early on, while the tests are still going on, for some sort of help or exemption from payment. Maybe a disabled sticker with a “T” on it for parking near toilets, and only near toilets. After all, if Radar recognises incontinence as a disability, why not?